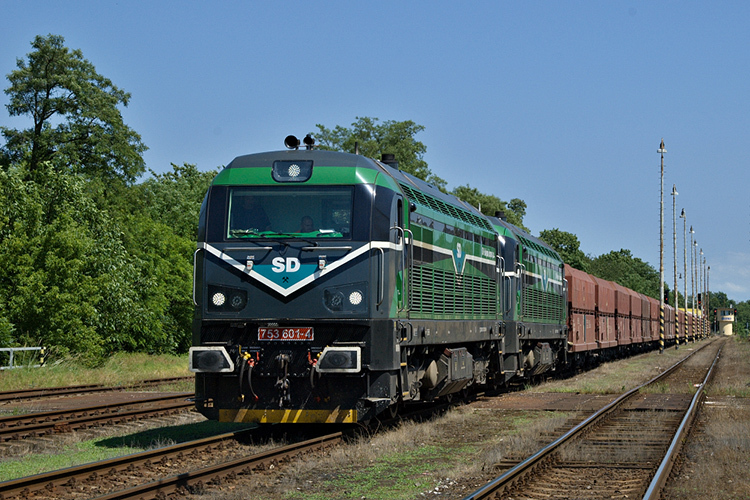 With the delivery of the first three units to Czech freight operator SD - Kolejová Doprava (SD-KD), we got to know the 753.6 series for the first time. 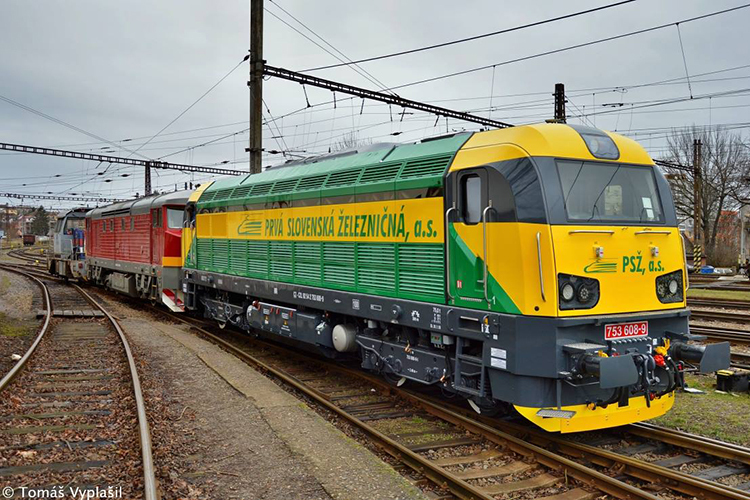 The 753.6 is an extensive modernization of the Czechoslovakian 749 to 754 series. Apart from the frame and bogies, the greatest part of the original components are replaced by new ones. 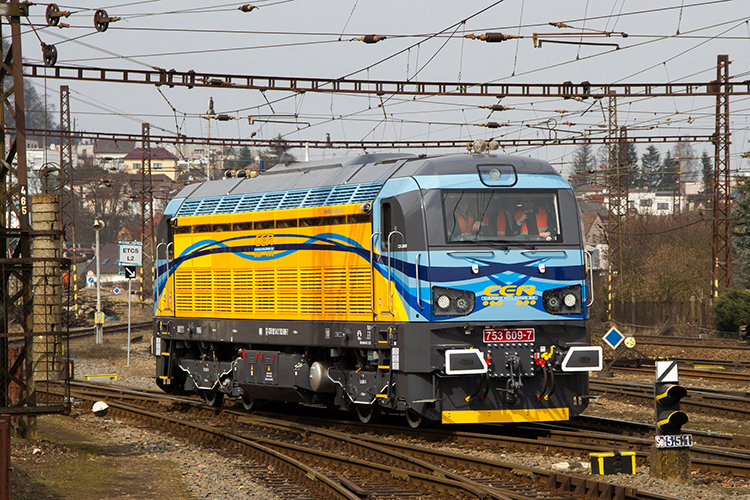 For instance, a new Caterpillar 3512C engine is used in combination with a traction alternator delivered by Siemens. 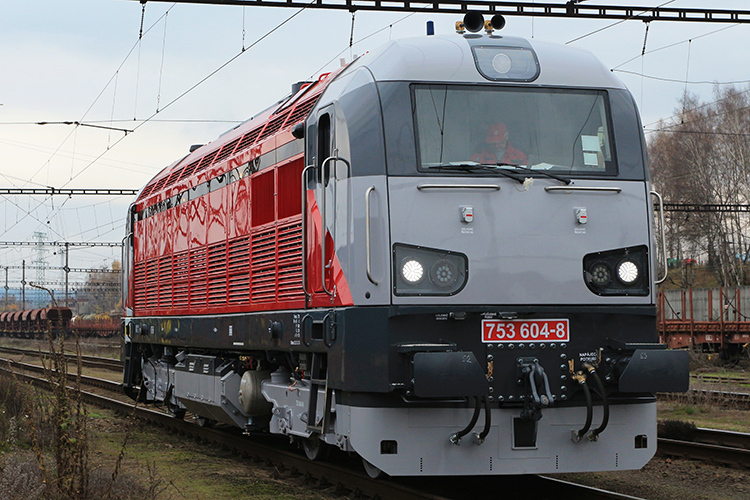 Its 1550 kW power output makes the 753.6 a flexible medium power diesel locomotive. 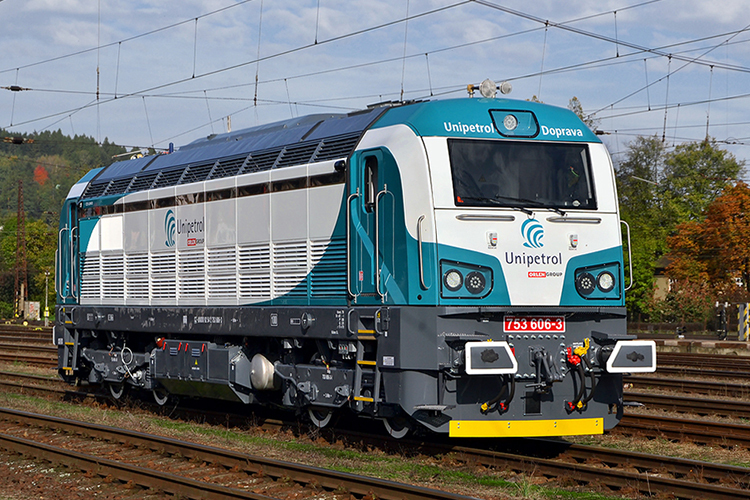 The 753.6 series is a universal locomotive and is therefore suitable for both passenger and freight services. According to manufacturer CZ LOKO its interoperability covers four Central-European countries: the Czech Republic, Hungary, Poland and Slovakia.